The Afsluitdijk is highly suitable for the generation of sustainable forms of energy. 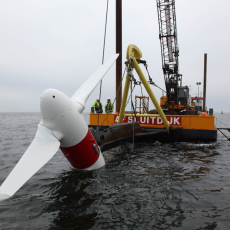 This includes tidal energy. 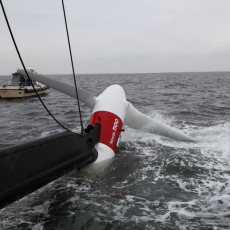 Insiders are expecting power from tidal currents to provide 10 percent of global electricity requirements in the future. 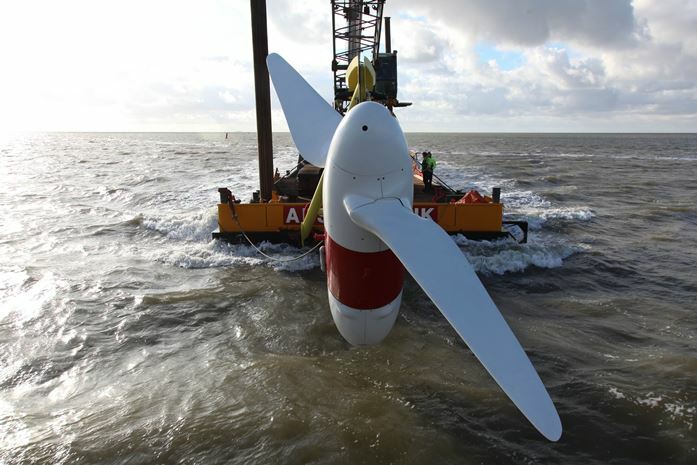 De Nieuwe Afsluitdijk’s ambition is to further develop tidal energy, allowing us to apply this knowledge in due course. 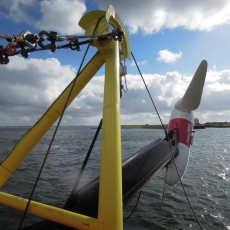 Tidal energy is an environmentally-friendly form of power generation. It uses flowing water. Currents are created by changing tides, but also by differences in water levels or by discharging water. 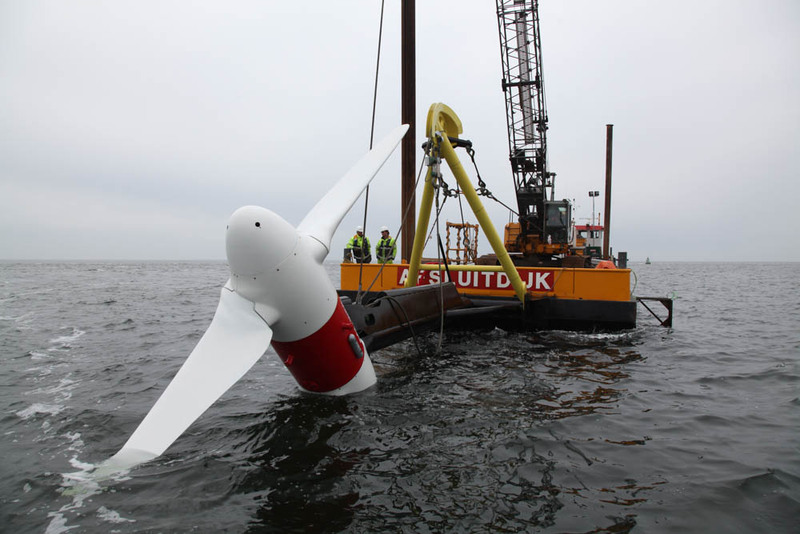 Gaining knowledge about tidal energy is one of the projects in the field of sustainable energy that is being performed at the Afsluitdijk. 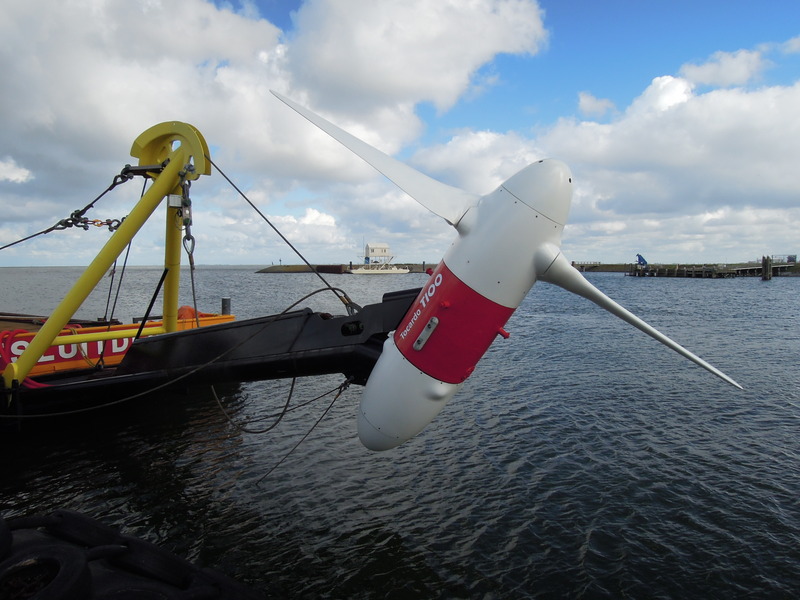 The Afsluitdijk is a perfect location for generating tidal energy: there is no shortage of tidal movements and currents. 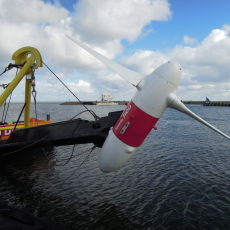 Because of these tidal movements in the Wadden Sea, the surplus water in the IJsselmeer is discharged twice a day. 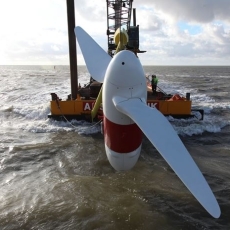 A test location for tidal energy has been set up at Den Oever on the North Holland side of the Afsluitdijk. 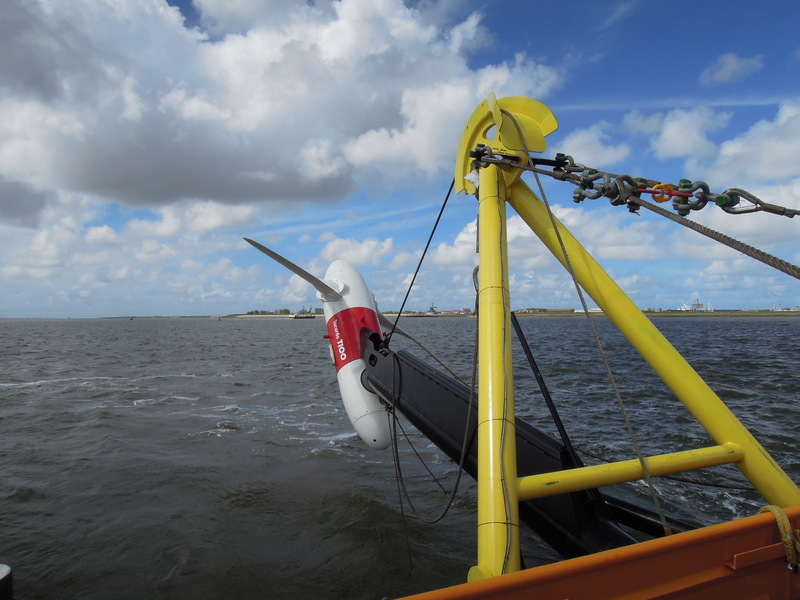 At this test centre (Tidal Testing Centre) we are performing an experiment with one (submerged) turbine driven by the water that flows from the IJsselmeer into the Wadden Sea via the discharge sluices. 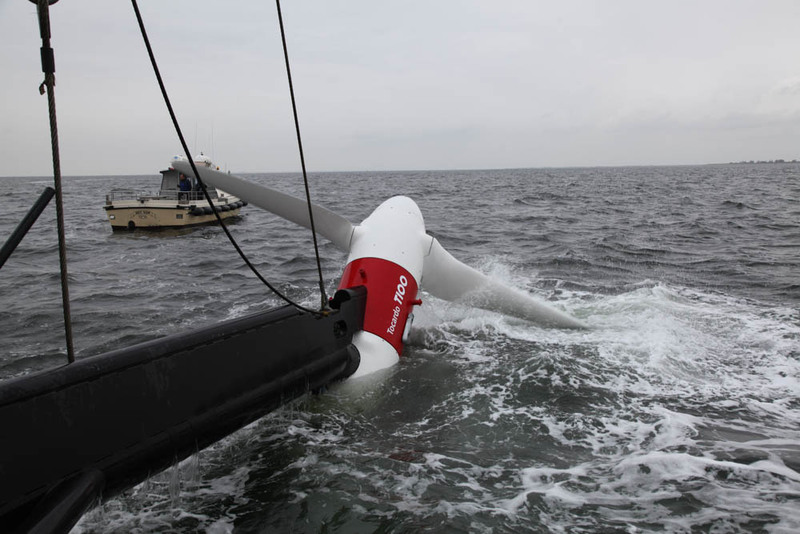 The turbine has a capacity of 100 kW, and is used to convert the current into kinetic energy. In February 2015 the test location at Den Oever is expanded. 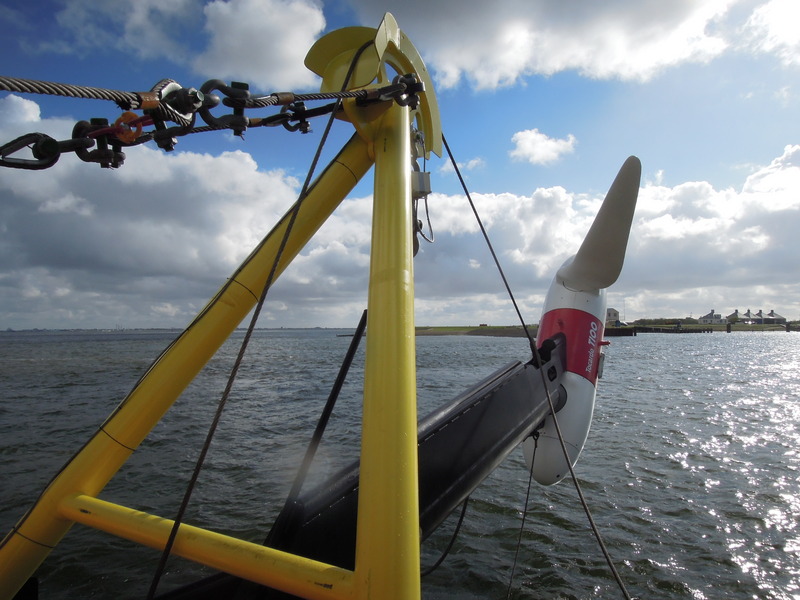 Three new turbines are installed side by side in a single weephole. We have expanded the test locatie, among other things, because we want to see if several turbines side by side will continue to function correctly. If the results are positive, we want to use this method in the discharge sluices at Kornwerderzand. 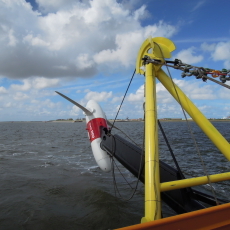 Due to the wind, water can be discharged into the Wadden Sea from the IJsselmeer more often at Kornwerderzand. Because of this, it would be possible to generate more energy at Kornwerderzand.